2nd March 2014 – Chris Thompson (GBR) was a runaway winner at the Silverstone half marathon on Sunday. Despite cold and windy conditions Thompson was aggressive from the start and was rewarded with not only the victory but also a new course record of 65:09, and finished over 8 minutes ahead of the second placed runner. Having just returned from 5 weeks of altitude training in Colorado Springs, Thompson was satisfied with his run and looking forward to putting together the final weeks of preparation for his marathon debut in London in April. 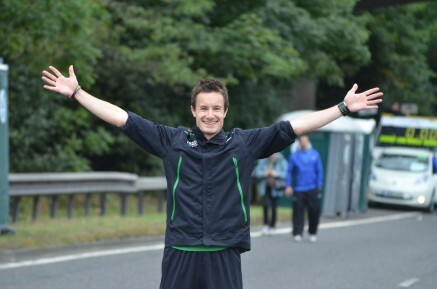 Another athlete who showed that his marathon preparations are going well was Mike Kigen (KEN). Running in the Paris half marathon before he runs in the full Paris event next month, Kigen took third place in a time of 60:44.